What is high-density urethane foam? It is an amazing product that can be used in many ways. In fact, high-density urethane foam bumpers and footpads for appliances and furniture help to prevent damage to flooring. Not only flooring, but the corners, edges and feet of furniture legs, it’s like the soles of shoes for your appliances and furniture legs. Urethane foam products are in demand for many reasons. High-density urethane is ideal for use as bumpers for many kinds of products and industries, such as the furniture industry, the appliance industry, the heavy equipment and the electronic industry all use urethane foam, especially for footpads for machinery, mounted motors, appliances and furniture. High-density urethane foam, particularly the L0-SKID™ LS7100, from Foam Sealant Plty Ltd, Australia, is sought after because it is highly flexible, conformable, has a high coefficient of friction and it is abrasive resistant. Every quality an ideal footpad or bumper should have. Thickness ranges ranges from 16 mils all the way up to 125 mils for heavy loads, and it can handle heavy loads because it has high durometer. Urethane Foam Bumpers – Whether you have a baby or small child in the house, and you would like to protect them from table edges or protruding furniture and sharp edges, then urethane foam is an ideal material to use as table bumpers and furniture bumpers. Manufactures of furniture and tables are well aware of the benefits urethane foam provide, in fact, companies either use it or recommend it to their customers. Getting around the house or office is much easier and safer, especially for small kids, when there are urethane foam table bumpers and furniture bumpers mounted in the rooms. Not only does urethane furniture bumpers help protect kids and adults from sharp edges, but they also help to protect furniture and tables from damage, such as scratches, nicks and dents. High-density urethane is also ideal for stabilizing and balancing tables, furniture, business machines and industrial equipment as you will discover. Urethane Foam Footpads – High-density urethane is ideal for stabilizing and balancing tables, furniture, business machines and industrial equipment. Footpads are designed to accomplish a few things. One thing footpads is meant to do is obvious, to provide protection to flooring. Whether it is a commonly used set of kitchen chairs, end tables, master bed, a well used washing machine or dryer, or even a large industrial machine chugging away somewhere, footpads can help prevent your flooring from being damaged. Not only will high-density urethane footpads protect your flooring, it can protect your ears as well. Foam footpads can effectively reduce vibration and ultimately noise caused by machinery and house ware appliances such as washing machines and dishwashers. Urethane foam has many industrial uses. 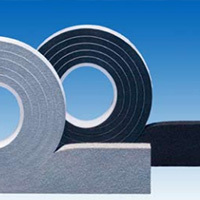 It is used in weather proofing windows, doors and automobiles, waterproofing vehicles, roofs and buildings, and acoustic foam tape can either diffuse sound or eliminate it completely. If you are interested in urethane foam, and other sealant products, then please visit Foam Sealant Plty Ltd, Melbourne.